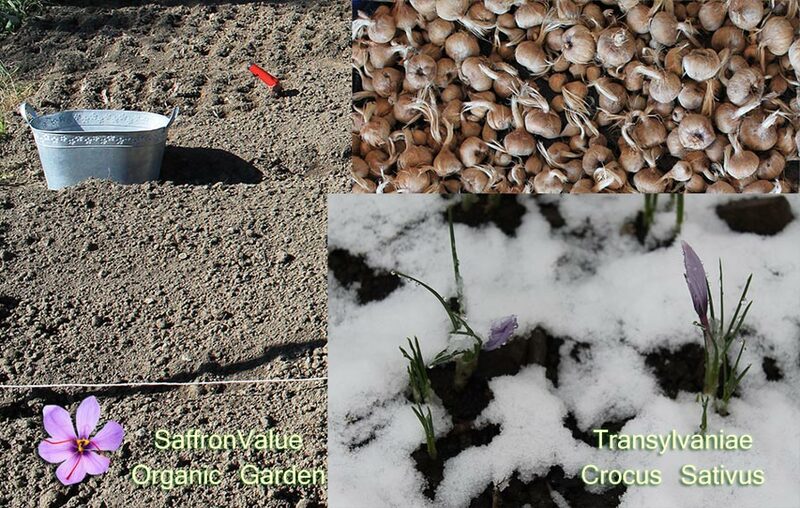 The best saffron bulbs package to start a business if you are located on a cold weather region, or at high altitude. Crocus Sativus Transylvaniae 3000 pcs. This is a real business with benefits from the 1st year. 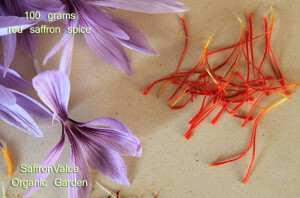 You will have saffron spice for selling and if you wish also saffron bulbs to sell. Crocus Sativus Transylvaniae is a rare and unique acclimatized saffron crocus bulb made only by our company. This is our unique brand. The bulbs are growing in Transylvania, Romania in the Carpathian Mountains in our gardens. Nobody else sell this strong bulb. You will have your own saffron spice. 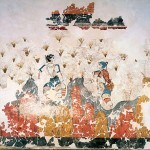 It depends how much – are not exact amounts for first 1-2 years. It all depends on how the bulbs will acclimatize on their new home. The worst possibility we estimate is 12 grams (saffron spice), but it can be 30 grams if you are lucky. And the quantity will grow substantially every year. The 2nd business opportunity is to sell bulbs. Even if I don’t recommend starting with it (it’s better to wait 2-3 years to multiply bulbs for yourself and grow in your garden), you can do it from next year. The bulbs multiply every 2-3 years. You will need a place in full sun to plant your new bulbs. You can do it mechanically or by hand. All our bulbs are from organic garden, no chemicals everything is pure. We have gardens in Turkey (crocus sativus) and Romania (crocus sativus transylvaniae – for northern countries clime with hard winter – bulbs from this package). The soil must be dry, if you plant in a place who keep water for long time after rains, your bulbs can die. 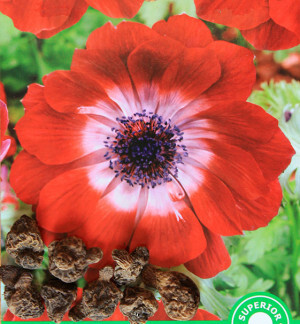 We will send you big bulbs, no need for you to wait 3 years until the bulbs will multiply. 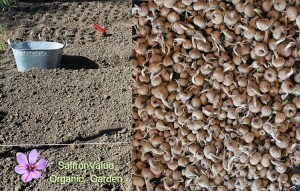 We sell many other flower bulbs, but the saffron business is the most lucrative business from all gardening products. We will help you with knowledge about everything you need to know on saffron cultivation as a business. You can pre-order now! We will deliver your bulbs between July to September. Plant the bulbs between Augusts to October. If you are a business in Europe (registered v.i.e.s.-vat company) the price includes all taxes and the delivery is free. (usually it takes 7 days EU delivery time). Sometimes we make a grand-tour and we deliver directly at your home. If you buy from outside EU, we will need a contract and you must know what official papers you need at your custom (if any). You will have anyway our invoice plus transport documentation but is better to ask. From our experience are no problems except a lot of papers/money for Australian customers, but even there you can do it. You will need time to manage everything, please be advice that we must send the bulbs in June-August. What is important is the fact that we will help you in all steps of your 1st business year. You can grow your business year after year, you can register your own saffron spice brand and you can sell a guaranteed genuine saffron product to you local market, or even export. Also the investments in bulbs can double your bulbs value every 3 years (but this business model stops when you sell all quantity).